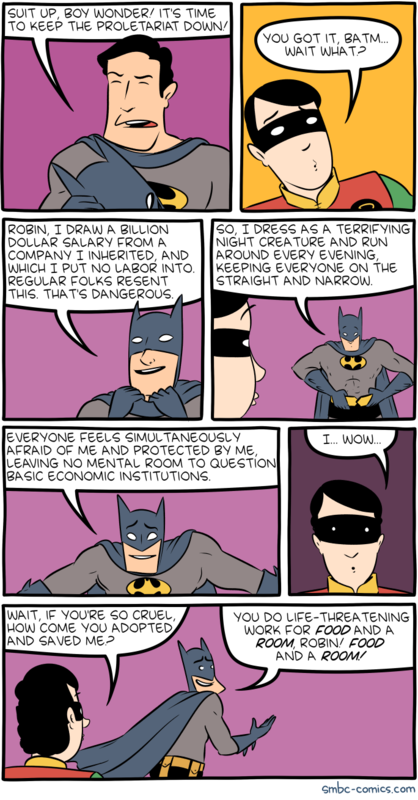 Some time ago, I came across an interesting Reddit group about the ongoing social, moral and ideological decay inherent to unrestrained capitalism- but more specifically its currently popular neoliberal incarnation. It contains a lot of interesting posts and links to contemporary examples of the commodification and marketing of services and things that no society with a desire to survive should allow to be commodified or marketed. Posts in the group also seem to have a strong focus on the need to break the current socio-economic status quo and create a more equitable and less fucked-up world. Even the US has never had true capitalism but probably came pretty close at the beginning. The problem is the US is right back where they started with a corporatocracy running everything from the issuance of money, the banking system, and controls the laws written. Probably not as blatant as the East India Tea Company but not far from it. You mean like the Soviet Union was not actually “true” communism. Couple that with a negative incentive for anyone to be productive; really no point in becoming educated or learn a skilled trade so that the government steal from you to support the worthless or warfare/welfare state. Incentives to be “productive” are meaningless if they do not result in sustained improvement in quality and security of the individual’s existence. Capitalism is a historical mode of social organization. As a concept it was basically invented by Karl Marx, O irony. Capitalism is a strange thing, because the proponents are not ‘capitalists’, only those with money are ‘capitalists’ — some of whom do not even support the ‘theory’. There are many theories about how society should be organized, but the divergence between theory and practice is usually very instructive, whether you mention Islam, Protestantism, socialism, capitalism, or wahtever. Actual practice generally differs markedly from theory AND from predictions that pundits make about how people would (logically) be expected to behave given a specific theory. Criticism of any movement always runs into the repartee that the theory has not even been truly tried yet, the followers have implemented it defectively. With a little more zeal, we would able to show its true performance. The latter thought generally leads to genocide. Generally speaking this objection is not an argument whatsoever. Your comment about the thieving welfare state fails to mention how little incentive there is to “produce” in the bureaucracy and hierarchy of large corporations: this makes your argument sound rather partisan. the corporations bail themselves out and save as much money as they can rather than try not to require a bailout in future. 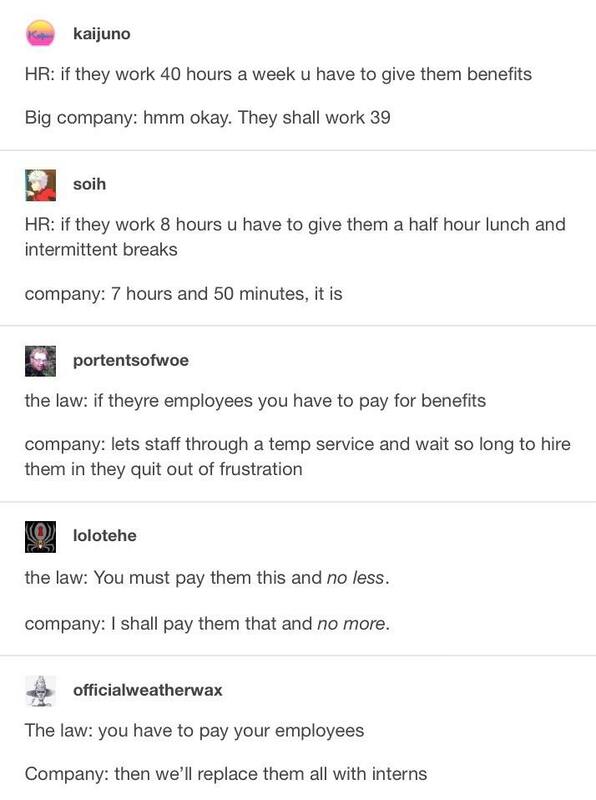 and employees get the shaft because “the company has no money”.